Napoli, being a famous restaurant in Kosovo, especially for their pizzas, decided to build something new in the new Prishtina International Airport. Instead of using their old adage in their communications, they wanted something new, since the whole terminal was new. Some people believe that 'new is always better', well in this case you can be the judge. Since pizzas were their forte, that was incorporated in their logo. And italian cuisine is not a simplistic and specific art form. It has soul, love, and personal attributes to it. That was added in this identity design as well. A more personal, and humble approach was used. 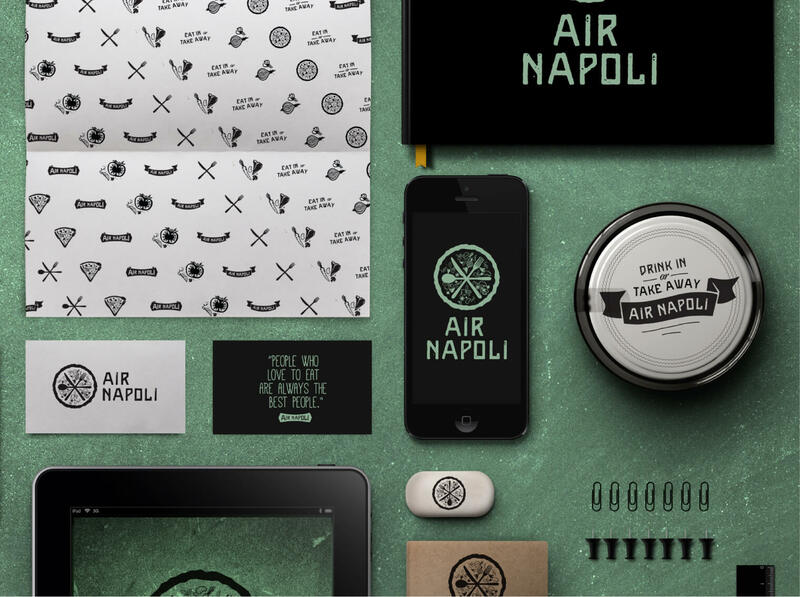 A visual identity that is versatile and can be used on various things. Just like oregano.